We are a hands-on company with an affinity for details. We assemble a qualified team for every project and we proactively manage each stage of shop fabrication, field construction, and detailed installation. Our project delivery method ensures quality, and we believe that quality is the foundation for gaining the confidence of our clientele. As architects, our collaboration with artists and design professionals includes complete services from schematic through construction documentation phases of design. We respond to every project with rigorous design synthesis and practical knowledge. We emphasize communication, research, and creative exploration of solutions for each design to assist our clientele in the realization of their projects. Our master builder expertise is a valuable resource for the early stages of architecture, design, and fine art projects. We provide consultation services that inform the architect and owner decision-making process and improve project efficiency well before ground is broken. Our expertise includes constructability analysis, Building Information Modeling [BIM], cost estimation, schedule development, and value engineering solutions. Specialized Construction believes that every successful project results from the support of a well-organized team. To ensure success, our company provides integrated services as both architect and contractor for buildings and site-specific installations. This continuum of care includes architectural design, pre-construction development, and general contracting. Trained as architects, we have developed an appreciation for extraordinary works of art and well-considered design. We have cultivated complex problem solving skills and a thorough understanding of building systems integration. As contractors, we transcend a singular profession by collaborating with talented trades-people and skilled fabricators to provide the best solutions for each project. Our approach to teamwork produces exceptional quality and value for our clients. As principal and chief operating officer, John integrates business operations with project workflow. He is an architecture profession and building industry leader with over 15 years of experience managing both design and construction of institutional, commercial, and residential projects. 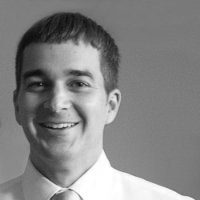 John’s work is distinguished by his passion for building and for delivering highest quality solutions. He has received commendation from the Los Angeles Forum for Architecture and Urban Design for housing proposals and his work has been published in Dwell magazine. Prior to founding Specialized Construction, John worked as project manager at Marmol Radziner and Associates where he oversaw design and construction of high-end residential projects; he held a senior project engineer position at Morley Builders where he managed project scheduling and subcontracts for the addition to the California Science Center; and, while he was a project architect at Gensler, he held a lead role in design development and construction documentation phases of large-scale retail environments and corporate headquarters. John holds a Bachelor of Architecture degree from Carnegie Mellon University and a Master of Architecture degree from Yale University. John is a licensed architect in California, New York, and Pennsylvania; and, he is a licensed California general building contractor.